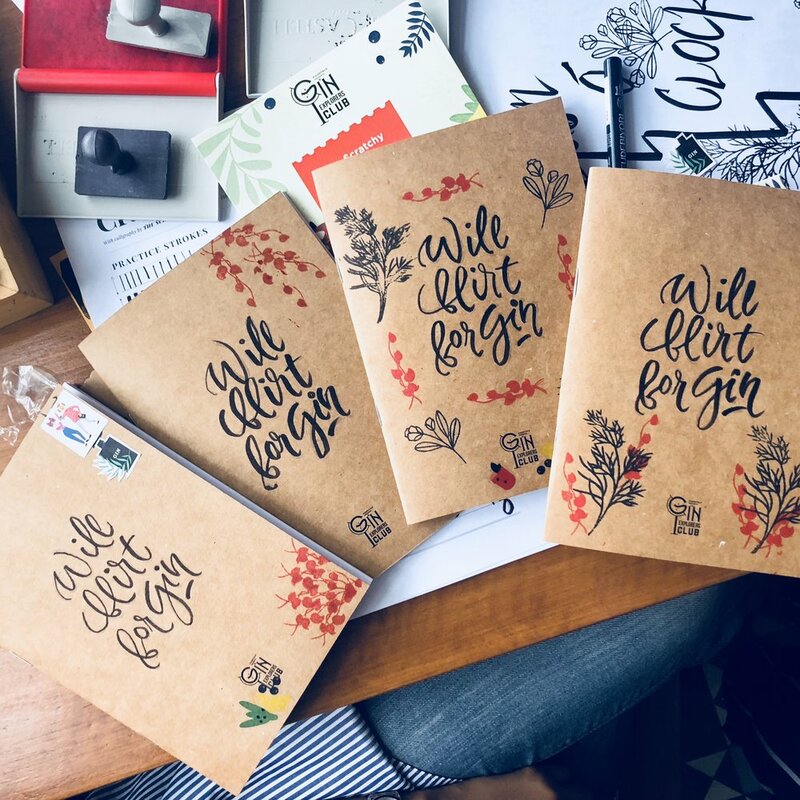 I collaborated with The Sourcing Factory to put together a fun-sized lettering activity during the roaring Gin Festival, organised by Food Talk India in September in Delhi. In the middle of a secret, invite-only Sunday brunch at the gorgeous Grammar Room (and before the gin started flowing), brunch-ers got a quick crash course in using brush pens. Then they spent a little time practising and hand-lettered their own gin-themed notebooks. Followed by some fun decorating the covers with stamps and stickers. Turned out to be a super fun Sunday afternoon. People went home with some fun kits produced by The Sourcing Factory. And the day continued on to a gin-infused fun evening too.